On 6.30 AM Saturday Jan. 27, four nervous Grade 10 students and I boarded a van to begin our journey to The Hague. 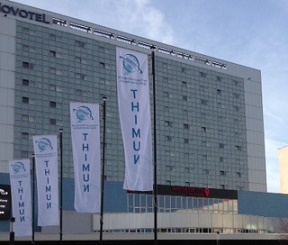 For the first time in many years, AST was represented at THIMUN The Hague, the most prestigious THIMUN conference. 3000 youth from around the world gather at The Hague each year for the United Nations simulation known as MUN (Model United Nations). Each delegate represents a country or UN organization. 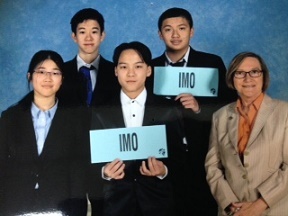 AST students aptly represented the IMO (International Maritime Organization) in debates about marine pollution, child brides, human trafficking and sustainable development. The King of The Netherlands, Willem Alexander opened the 50th conference. His daughter, the Princes Margarita, spoke to delegates at noon one day about child brides. Nordy Chen describes THIMUN as an event that “taught me better social skills, and also strategies to become a better speaker on stage." Delegate Selina Fu enjoyed attending THIMUN The Hague because "it gave me opportunities to meet, communicate, cooperate, and become friends with many people from different countries and diverse cultures, and although the weather was freezing cold, I really enjoyed the clean and organized environment over there."